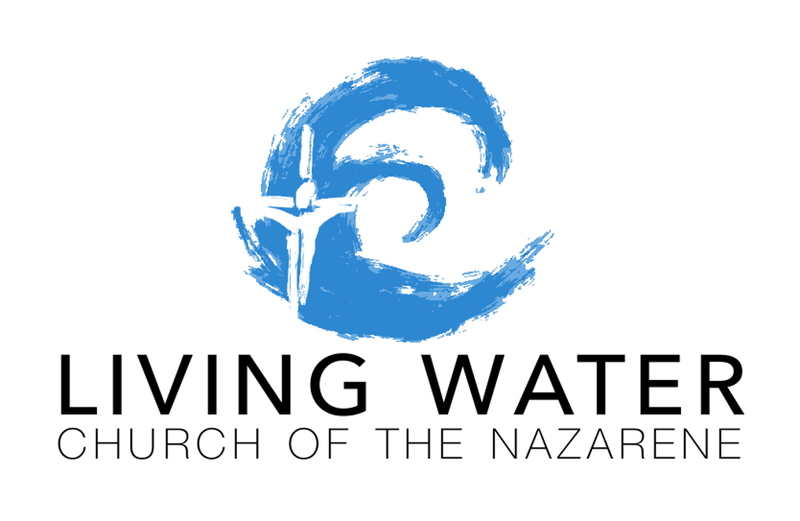 It’s hard to believe that we are coming up on 6 months of worship together at Living Water Church of the Nazarene. It still seems very new; things are constantly moving, changing, and growing. I’ve spent time this week looking back at what we set out to do as a church plant team, and it has been encouraging to see the ways that God has been faithful to us. As a church plant team, one of our goals was to invite new folks to serve the church as part of their journey of discipleship. This emphasis has been bearing fruit and contributing to both our communal life together and individuals’ spiritual journeys. This is especially apparent as we have invited and trusted people without housing to contribute to the work of the church in major ways. We have had people without housing cook multiple meals for our congregation, inspire and design a new style of small group, accompany one of our congregants on difficult hospital visits, set up our entire sound system, fix our floor, repair a major electrical problem in our building, move the last of our landlord’s stuff out of our facility and redesign our space to fit our growing congregation, and paint over the graffiti that marked the outside of our building for months. This is in addition to the weekly tasks of setting up and tearing down services, cleaning our facilities, and helping one another navigate the complicated homeless services of San Diego. One woman has assigned herself the responsibility of cleaning our bathroom (which gets used by pedi-cab drivers all week) before every service. As people come to feel respected and loved in our community, they want to contribute to the life of the church, and when given opportunities to do so, they have flourished. These friends have jumped at opportunities to serve, reminding us often that they have time and skills to offer and saying that it brings them great joy to be able to contribute to the life of the community. Another emphasis as a church plant team was community formation, which has been bearing fruit as well. A new church attendee with many years of AA experience identified a need for shared reflection among the people in our congregation, and he has helped us design a new (to us) model of small group that hearkens back to the original small groups that John Wesley and the early Methodists started in order to more intentionally live out their faith. These groups do not have curriculum to study but instead create space for reflection, self-examination, confession, and prayer. We spend the bulk of our time discussing the question “How is your life in God?” This has helped us get to know one another more deeply, support one another better, and see the image of Christ in one another more clearly as we journey together toward the cross. As a result of these groups, weekly meals together, regular service alongside one another, and our communal times of worship, we have seen new friendships take root, new systems of support develop, and a remarkably stable community begin to form that includes people from a wide spectrum of experiences, many of whom live very unstable lives. God is teaching us to love one another as we learn to love God more deeply. The primary emphasis of our plant team was worship. Our times of worship have been lively and well-attended (in most recent weeks, attendance has been in the high 30s). We have a time of open prayer each week, and our folks have been crying out to the Lord together without holding back. Two of our plant team members have been doing a great job of leading us with music, weekly communion continues to be the climax of our service, and we have enjoyed many wonderful dinners together to close our times of worship (I won’t comment on the quality of the preaching, but we are now recording our sermons and posting them online here). There is no doubt that the Spirit is moving in the lives of those who join us for worship every week – it’s difficult to describe the experience, but we hope you will come and see for yourself sometime. God continues to send new people from various backgrounds to worship with us. We’ve had our first walk-in condo dwellers come and join us for worship (they’ve been back every week for three weeks and are attending small groups). We continue to have new folks from the streets and low-income housing join us every week, and we’ve had a new resourced family with deep roots in the Church of the Nazarene join us lately as well. As Point Loma Nazarene University gets rolling again, we hope students will come and bring their energy to our gatherings. The Lord knows the needs of our community and seems to be bringing the right people at the right times. The needs of the poorest among us are still larger than we can fill, and it is difficult to know what to do in the face of them. James tells us, “If a brother or sister is naked and lacks daily food, and one of you says to them, ‘Go in peace; keep warm and eat your fill,’ and yet you do not supply their bodily needs, what is the good of that?” I feel guilty of this almost every day in this work. While things seem to have settled a little bit as the tourist season has wrapped up downtown, we still see the extreme difficulties of life without housing. We’ve had a wave of bag-thefts sweep through the community. These thefts aren’t unusual, but it seems like almost everyone on the streets has had a bag stolen in the last few weeks (which can be devastating for folks who carry IDs, medications, money, clothing, and sentimental items on their person all the time). People continue to get pushed from block to block by city/police decisions, new construction, and threats of violence. People still struggle with addiction, which is especially difficult as the drug scene has gotten progressively worse all summer with people openly using a variety of substances all over downtown San Diego. It is overwhelming at times, but in the midst of all of this instability and vulnerability, God has been building a community of disciples. We hope and pray that God will teach us and enable us to better engage with these needs as we become more established in the community. Thank you for your continued support of our work. Please keep us in prayer, and please consider supporting this work financially. We are incredibly grateful for the support we have had from the wider body of Christ so far. The Spirit has used many people from many places to establish this new work, and we trust that God will continue the work that has been started in East Village! Wow. This really blessed me. Thank you for sharing in writing what God is doing through Living Water! He is at work!